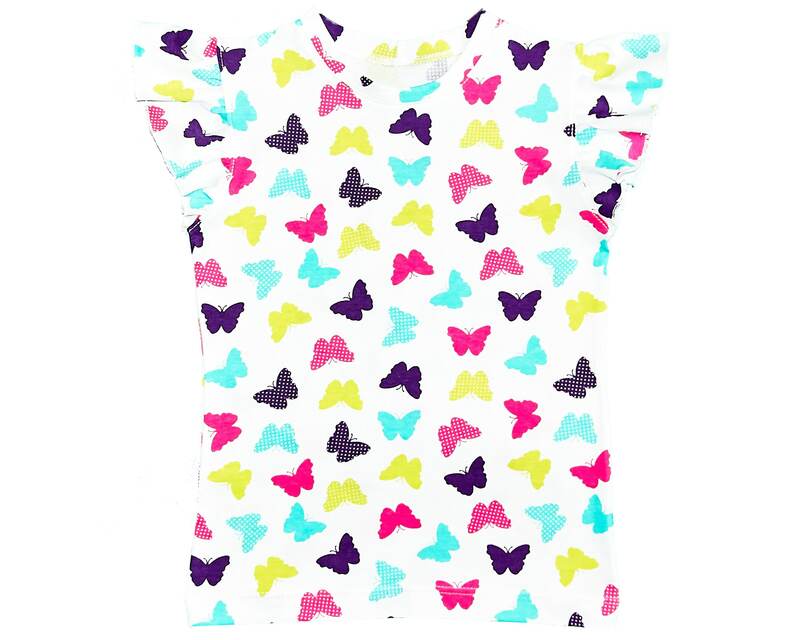 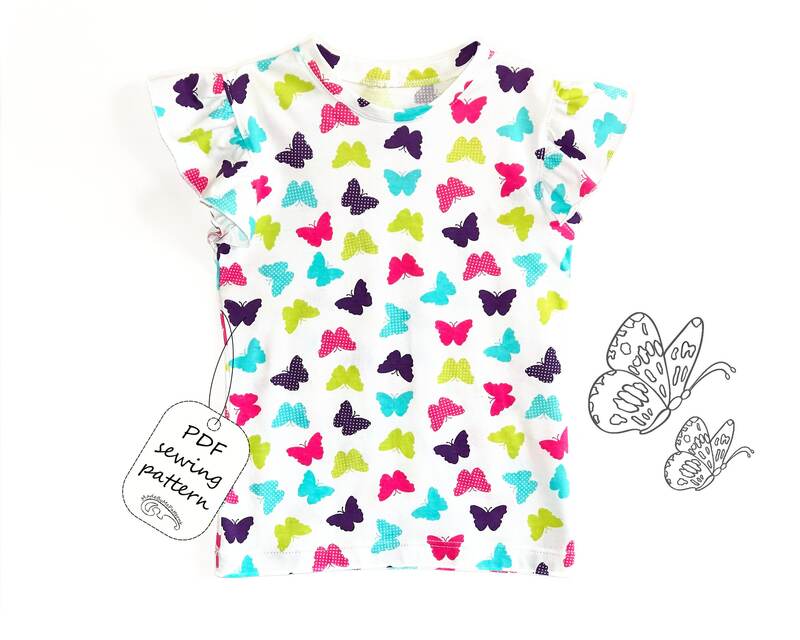 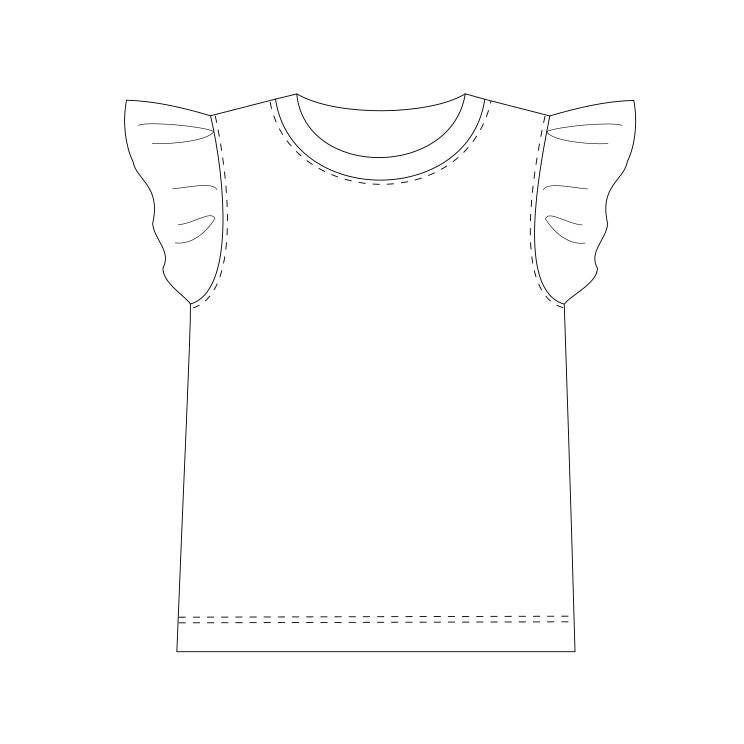 PDF sewing pattern for girls top with frill sleeves. 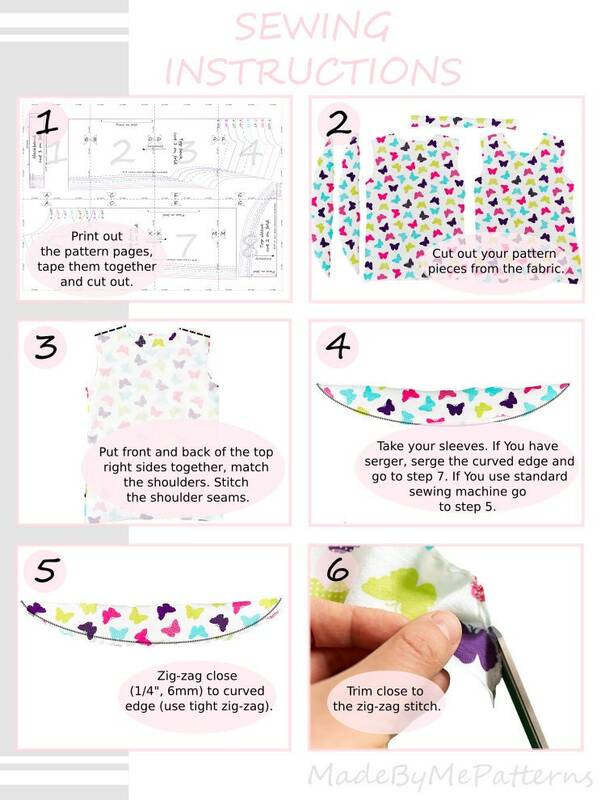 This is an easy pattern with real color step-by-step instructions. 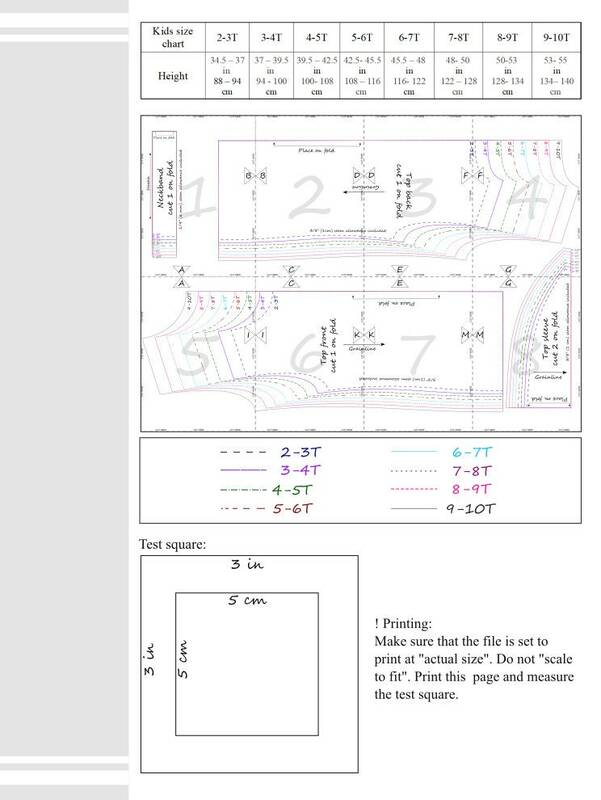 Stitching lines are diagrammed right on to the photos so you never need to guess where to sew. 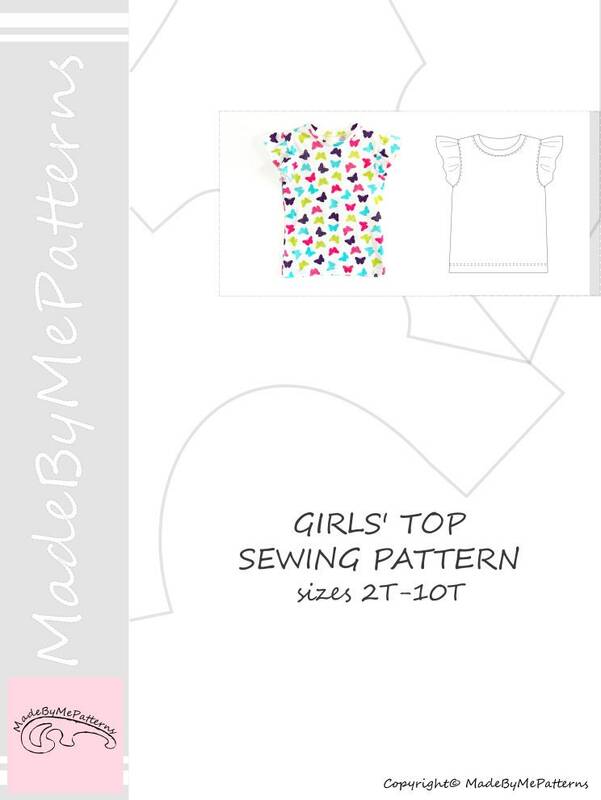 The top pattern includes sizes from 2 to 10 years.